Hardiman and Kozicharow’s book will be a welcome addition to university library collections on Russian culture. It offers rewarding reading to anyone who studies, or simply enjoys, the richness of Russian modernism. [...] the ten essays all offer valuable insights into the role of spirituality in Russian art. A great strength of the anthology on the whole is how it strikes a nice balance between indirectly addressing both specialists of Russian (art) history and its students. The essays paint a vivid picture of the various ways in which spirituality may be and has been approached, and also shed light on what the term means in different times and contexts. 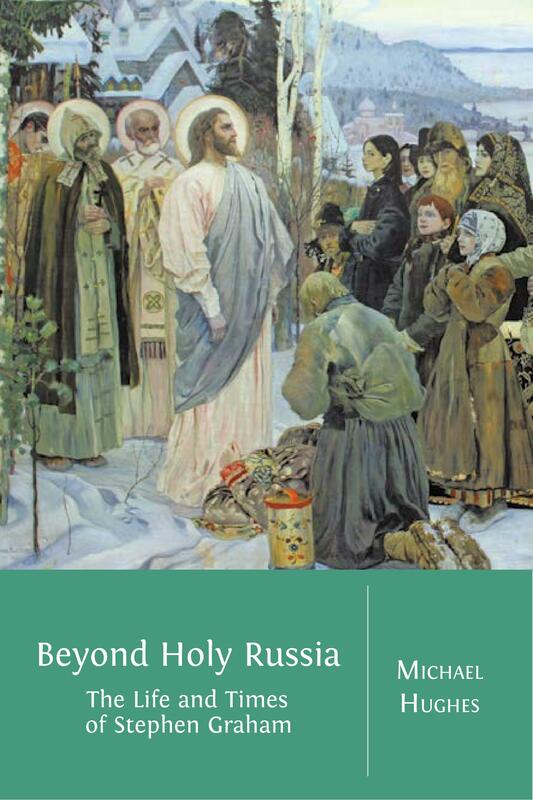 Read together, the essays in Modernism and the Spiritual in Russian Art exhibit how the concept of spirituality is intimately connected to even bigger themes, such as religious tradition, nationalism, ideology, and aesthetic innovation. Though the territory it occupies is scarcely uncharted, this volume really does bring some fresh perspectives to it: it is good to note that its authors largely get away from the time-worn labels 'realism', 'symbolism', 'futurism', etc. 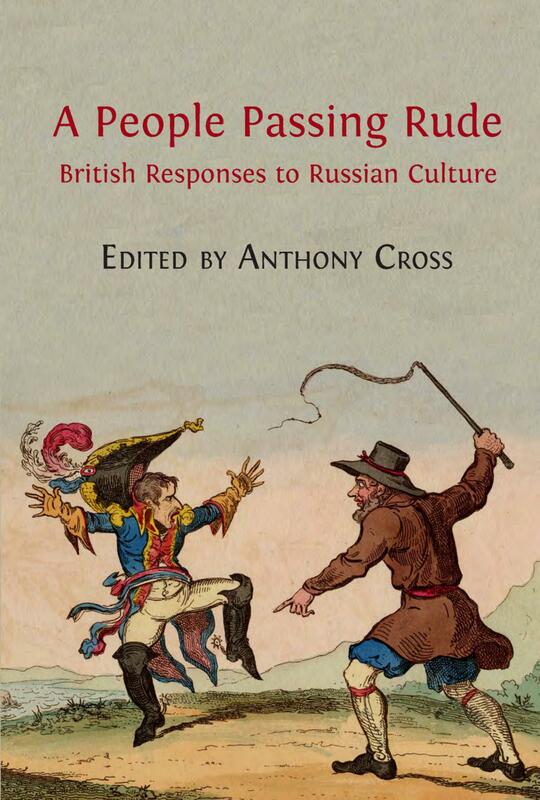 It compares very favourably with its well-known predecessor Alter Icons (2010), even if its ambitions are fewer, and indeed with an earlier landmark volume of the same genre, Christianity and the Arts in Russia (1991). Gurianova quotes Matiushin (1913) 'Art is not an entertainment and not a temple right here in the middle of the marketplace, but a new understanding of world phenomena': here one can share the implicit excitement. In 1911 Vasily Kandinsky published the first edition of ‘On the Spiritual in Art’, a landmark modernist treatise in which he sought to reframe the meaning of art and the true role of the artist. For many artists of late Imperial Russia – a culture deeply influenced by the regime’s adoption of Byzantine Orthodoxy centuries before – questions of religion and spirituality were of paramount importance. As artists and the wider art community experimented with new ideas and interpretations at the dawn of the twentieth century, their relationship with ‘the spiritual’ – broadly defined – was inextricably linked to their roles as pioneers of modernism. This diverse collection of essays introduces new and stimulating approaches to the ongoing debate as to how Russian artistic modernism engaged with questions of spirituality in the late nineteenth to mid-twentieth centuries. Ten chapters from emerging and established voices offer new perspectives on Kandinsky and other familiar names, such as Kazimir Malevich, Mikhail Larionov, and Natalia Goncharova, and introduce less well-known figures, such as the Georgian artists Ucha Japaridze and Lado Gudiashvili, and the craftswoman and art promoter Aleksandra Pogosskaia. Prefaced by a lively and informative introduction by Louise Hardiman and Nicola Kozicharow that sets these perspectives in their historical and critical context, Modernism and the Spiritual in Russian Art: New Perspectives enriches our understanding of the modernist period and breaks new ground in its re-examination of the role of religion and spirituality in the visual arts in late Imperial Russia. Of interest to historians and enthusiasts of Russian art, culture, and religion, and those of international modernism and the avant-garde, it offers innovative readings of a history only partially explored, revealing uncharted corners and challenging long-held assumptions. The publication of this volume has been made possible by a grant from the Scouloudi Foundation in association with the Institute of Historical Research. Subject codes: BIC: ABA (Theory of art), AFC (Painting and paintings), AG (Art treatments and subjects), HBTB (Social and cultural history), JFC (Cultural studies); BISAC: ART049000 (ART / Russian & Former Soviet Union), ART035000 (ART / Subjects & Themes / Religious), HIS032000 (HISTORY / Russia & the Former Soviet Union). Sebastian Borkhardt studied History of Art, East Slavonic Philology, and Religious Studies in Tübingen and St Petersburg. After completing his MA, he began doctoral research at the University of Tübingen. His dissertation examines the role of the Russian roots of Vasily Kandinsky in the reception of the artist’s work in Germany and is supervised by Professors Eva Mazur-Keblowski (Tübingen) and Ada Raev (Bamberg). Borkhardt has received scholarships from the State Graduate Funding (Landesgraduiertenförderung) of Baden-Württemberg and the German National Academic Foundation (Studienstiftung des deutschen Volkes). His research interests include modernism, with a particular focus on Russian art, as well as reception history, human-animal studies, and contemporary museum practice. Borkhardt is a member of the Russian Art and Culture Group based at Jacobs University in Bremen and co-editor of the 2017 issue of Experiment: A Journal of Russian Culture which is dedicated to the memory of Dmitry Sarabyanov. Jennifer Brewin is a PhD candidate at the University of Cambridge. Her research, supervised by Dr Rosalind Polly Blakesley, explores the interaction of painting and national politics in Soviet Georgia under Stalin. Her research interests include all areas of Russian and Soviet art. She received her MA in History of Art from The Courtauld Institute of Art (2011) and her BA in Russian and History of Art from the University of Bristol (2008). She is a member of the advisory board of the Courtauld Cambridge Russian Art Centre (CCRAC). Her research is funded by the Lander PhD Studentship at Pembroke College, Cambridge. Nina Gurianova is Associate Professor at the Department of Slavic Languages and Literatures, and Comparative Literary Studies Program at Northwestern University (USA). Her scholarship in the fields of literature and art history encompasses both Russian and European modernist and avant-garde movements, with a specific emphasis on the interrelation of aesthetics and politics. She has authored and edited six books on the Russian avant-garde and published extensively in Europe, the United States, and Russia. Gurianova served as the primary exhibition consultant for the Guggenheim Museum of Art and the Museum of Modern Art in New York, and participated in the organisation of many exhibitions. Gurianova’s most recent book, The Aesthetics of Anarchy (Berkeley, CA: University of California Press, 2012) won the AATSEEL Best Book in Literary/Cultural Studies annual award. Her research was supported by the Alice Kaplan Institute for the Humanities at Northwestern University, the Society of Fellows at Harvard University, the William F. Milton Fund, IREX, the National Humanities Center, and the National Endowment for Humanities. Currently she is working on a monograph, New Art and Old Faith, which explores in depth the themes outlined in her chapter. Louise Hardiman is an art historian specialising in nineteenth- and twentieth-century Russian art. She is a graduate of the universities of Oxford, London, and Cambridge, where she completed a PhD on the history of Russian Arts and Crafts in late Victorian and Edwardian Britain. Her primary research concerns the history of the ‘neo-national’ movement and Anglo-Russian cultural exchange. She was consultant and catalogue contributor for the exhibition A Russian Fairy Tale: The Art and Craft of Elena Polenova (Watts Gallery, Guildford, 2014-15), and is the editor of Elena Polenova, Why the Bear Has no Tail and other Russian Folk Tales (London: Fontanka, 2014) and The Story of Synko-Filipko and other Russian Folk Tales (London: Fontanka, forthcoming). In 2016-17 she held a Postdoctoral Fellowship at the Paul Mellon Centre for Studies in British Art to work on her book The Firebird’s Flight: Russian Art in Britain, 1851-1917. Nicola Kozicharow is the Schulman Research Fellow at Trinity Hall, Cambridge and an Affiliated Lecturer in History of Art at the University of Cambridge. She is a specialist in nineteenth- and twentieth-century European and Russian art, and her current book project is entitled Visual Culture and the Construction of Russian Émigré Identity. Her research has recently been sponsored by the Getty Research Institute and the Likhachev Foundation. Kozicharow received her PhD and MPhil from the University of Cambridge, and holds an MA from University College London, and a BA in History of Art (Honors) and Slavic Studies from Brown University. Myroslava Mudrak is Emerita Professor of the History of Art at The Ohio State University. Her research centres on modernist art of the late nineteenth and early twentieth centuries, with special emphasis on avant-garde and abstract art in Eastern Europe, Russia, and Ukraine. Her primary interest is in the ideological discourses, socio-political influences, and artistic practices within East European cultures that use modernity to signify national identity. Mudrak has curated and produced catalogues for two historic exhibitions at The Ukrainian Museum in New York: Borys Kosarev: Modernist Kharkiv, 1915-1931 (2012) and Staging the Ukrainian Avant-Garde 1910s-1920s (2015), the latter winning the prestigious Alfred H. Barr, Jr. Award for Smaller Museums, Libraries, Collections, and Exhibitions, under the auspices of the College Art Association in 2016. Mudrak’s publications include essays on Ukrainian Dada and Dissidence, Propaganda Pavilions, the Ukrainian Studio of Plastic Arts in Prague, Panfuturism, Constructivism, David Burliuk, and ‘Neue Slowenische Kunst and the Semiotics of Suprematism’. Her seminal work, New Generation and Artistic Modernism in Ukraine (Ann Arbor, MI: UMI Research Press, 1986), soon to be published in a Ukrainian translation, was awarded the Kovaliw Prize for Ukrainian Studies. Natalia Murray has a PhD from the Courtauld Institute of Art, and prior to this she studied History of Art at the Academy of Fine Arts in St Petersburg and completed the PhD course at the Hermitage Museum. In 2012 she wrote her monograph, The Unsung Hero of the Russian Avant-Garde. The Life and Times of Nikolay Punin (1888-1953) (Leiden and Boston: Brill Academic, 2012). At present she is lecturing on nineteenth- and twentieth-century Russian art at The Courtauld Institute of Art, the Art Fund, and The Arts Society; she also works as head of education and public programmes at GRAD (Gallery for Russian Art and Design), and curates exhibitions of Russian art in England. She recently curated a major exhibition for the Royal Academy of Arts entitled Revolution: Russian Art 1917-1932 (11 February-17 April 2017) and is now editing her next book, on the subject of post-revolutionary festivals in Petrograd. Wendy Salmond is Professor of Art and Art History at Chapman University, CA. She has written and lectured extensively on Russian and Soviet art, the Arts and Crafts movement, Art Nouveau, and Russian modernism. Her current project is a book tracing transformations in the perception and function of icons in Russia, from objects of devotion to works of art. Salmond has been a guest curator of exhibitions at Hillwood Museum and Gardens, Washington, DC (Tradition in Transition: Russian Icons in the Age of the Romanovs, 2004) and The New York Public Library (Russia Imagined, 1825-1925: The Art and Impact of Fedor Solntsev, 2006). She is a prolific translator of texts on Russian art and culture, and has edited volumes on the sculptor Sergei Konenkov, the Bolshevik sales of Russian art in the 1920s and 1930s, and the reception of Art Nouveau in Russia. Oleg Tarasov is Senior Research Fellow at the Institute of Slavic Studies, Russian Academy of Sciences. He has an MA in History and a PhD in History and Theory of Arts from Moscow State University and a PhD in History from the Russian Academy of Sciences. Tarasov is the author of Icon and Devotion. Sacred Spaces in Imperial Russia (London: Reaktion Books, 2002), Framing Russian Art: From Early Icons to Malevich (London: Reaktion Books, 2011), and Modern i drevnie ikony: Ot sviatyni k shedevru (Art Nouveau and Ancient Icons: From Sacred Object to Masterpiece) (Moscow: Indrik, 2016). He is also a consultant and catalogue contributor for many exhibitions including Picture and Frame (Tretyakov Gallery, Moscow, 2014). Maria Taroutina is Assistant Professor of Art History at Yale–NUS College in Singapore. She received her PhD in 2013 from Yale University and has published a number of articles and essays on the art and architecture of Imperial and early Soviet Russia. She is also co-editor, with Roland Betancourt, of Byzantium/Modernism: The Byzantine as Method in Modernity (Brill: Leiden, 2015). Her first sole-authored book monograph, provisionally titled From the Tessera to the Square: Russian Modernism and the Russo-Byzantine Revival is forthcoming with Pennsylvania State University Press. It charts the rediscovery and reassessment of medieval Russian and Byzantine representation in Russia in the years 1860-1920. Currently, she is working on another edited volume, which will address new narratives and methodologies in Russian and Eastern European art. © 2017 Louise Hardiman and Nicola Kozicharow. Copyright of each chapter is maintained by the author. In an extended introductory essay, the editors briefly examine the significant role played by spiritual themes in the history of modernism and provide a chronological overview of the history of spiritual and religious themes in the development of Russian and early Soviet art. The main themes of the essays are outlined, thus highlighting the recurrence and endurance of certain ideas across the edited volume as a whole. Revisiting his 1884 frescoes in the Church of St Cyril in Kyiv, Mikhail Vrubel purportedly lamented in the spring of 1901 that "this is the kind of work to which I should return”. Indeed, in the years leading up to his premature death in 1910, the artist obsessively depicted Biblical and apocryphal subjects again and again, producing several cycles of paintings and drawings on these themes. Accordingly, this essay examines Vrubel’s sustained engagement with religious subject matter on the one hand and the Russo-Byzantine representational idiom on the other in the years 1884-1906, and argues that they became important formal and conceptual catalysts in his artistic evolution towards a unique turn-of-the-century modernist style. The essay likewise analyses the ways in which Vrubel’s elusive, at times disturbing and constantly mutating Symbolist iconography expressed a specifically fin-de-siècle sense of spiritual malaise and destabilised identity in the face of widespread secularisation, epitomising the modern move away from institutionalised religion towards new spiritual and philosophical possibilities. Consequently, in their unusual combination of modernist forms with mystical, transcendental themes, Vrubel’s paintings prefigured a particular strain of visionary avant-gardism that found its full expression in the twentieth-century artworks of artists such as Pavel Filonov, Vasily Kandinsky, and Kazimir Malevich. The turn of the twentieth century witnessed increasing interest in Russia in non-conventional forms of religion and esoteric spirituality, and many artists and intellectuals were influenced by the Theosophical movement launched by Helena Blavatsky, Henry Steel Olcott, and William Quan Judge in New York in 1875. 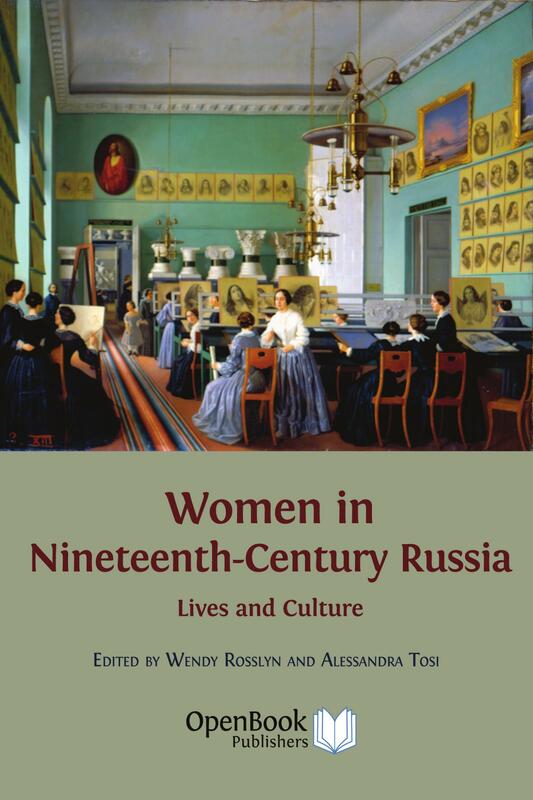 This essay examines how such ideas came to bear upon the ‘neo-national’ movement – Russia’s version of the international ‘Arts and Crafts’ movement of the late nineteenth century. It begins with a discussion of esoteric spiritual influences at the Talashkino artists’ colony founded by Princess Maria Tenisheva near Smolensk, and, in particular, the involvement of Nicholas Roerich (1874-1947), an artist who became one of Tenisheva’s closest artistic collaborators and, in later life, was a mystic and guru. It then turns to another figure who worked with Tenisheva, the Russian émigré Aleksandra Loginovna Pogosskaia (1848-1921). From the early 1900s onwards, Pogosskaia campaigned to place the development and production of Arts and Crafts (primarily, but not only, Russian) under the auspices of the Theosophical movement. Both movements had universalist aims and aspirations; both had global reach and sought to alter public opinion, fighting the increasing shift towards materialism and a growing spiritual deficit. The aim of this essay is not only to extend debate on the spiritual dimensions of Russian artistic modernism, but to bring fresh insight to the neo-national movement and, specifically, its international reach. The simple geometric shapes of Suprematism—the most complete non-objective art of the twentieth century inaugurated by Kazimir Malevich in 1915—not only exemplify the century’s artistic quest for the absolute through abstract means, but also signify the artist’s lifelong search for the pictorial expression of spiritual purity. This essay makes two claims: that Malevich’s body of work from his largely overlooked Symbolist period, c. 1907-1908, carries the seed of his pursuit of the spiritual in art, and that the series of paintings of this period, largely conceived as fresco designs, appear to reference enigmatic religious rituals and were prepared as part of a projected, but unrealized, mural. This early period set the stage for Malevich’s expression of transcendent themes, cultivated throughout his entire creative life. Suprematism would become its pure manifestation in expanded dimensions of time and space. The author’s main argument is that Malevich’s point of access to the transcendent lay in the ritualistic acts of Orthodox (Byzantine) liturgy as practised by the peasantry and depicted in ecclesiastical wall painting. The sacred traditions of Orthodoxy and the ancient aesthetic culture of fresco painting appealed to Malevich from childhood, for they expressed communal values of deliverance shared by the Orthodox faithful. This appeal to the masses served as a guidepost for Malevich’s post-revolutionary utopian projects, for example, in UNOVIS (The Affirmation of the New in Art). This essay explores the question of the spiritual in Russian art by analysing the significance of the relationship between the historical tradition of icon painting and the art of the avant-garde. It takes into account aspects of the wider context of Orthodoxy including veneration and ritual, and discusses both the icon and the ‘modern’ avant-garde image as systems of signs, in which the link between symbol and meaning is crucial. For Russian avant-garde artists, the aesthetic idea of a painting came to presuppose a new process of perception: a painting and its frame were no longer linked by the laws of the religious system of symbols or optics. Moreover, the avant-garde perceived the art object as means of opening the way to the ‘widening’ of human consciousness and placing the individual in touch with the transcendental. In this sense, both the icon and the avant-garde image lead the spectator's consciousness on the path to an unseen reality, resulting in a break through the boundary between the material and the spiritual. With this theoretical and historical discussion in place, this essay then addresses how the icon came to be understood as an original work of art. The ideas of two key figures, Kazimir Malevich and Pavel Florensky, are used to examine critical aspects of the icon's artistic language, such as the synthesis of the inner and the outer viewpoints. While searching for their own answer to the question "What makes art national?" Russian avant-garde artists wanted to start history anew. This line of ‘achronic’ consciousness led to innovation along with ‘traditionalism’ in the broadest sense, and was to a great extent determined by their turn to the spirituality of Old Russian art, including the Old Believers’ cultural tradition, as a counterweight to the Eurocentric orientation of Russian culture of the eighteenth and nineteenth centuries. The avant-garde aspiration towards the Russian past and the restoration of its cultural markers was at the same time a political way to resist the established and over-bureaucratized cultural and social structures of the time, such as the Imperial Academy of Arts. To sum up, this tradition reframed the aesthetic and ideological discourse of the Russian avant-gardists, from the Neo-primitivist group led by Mikhail Larionov and Natalia Goncharova, to the early abstract works by both Vasily Kandinsky and Kazimir Malevich, and brought them to a sharp, pronounced break with the previously dominant aesthetic models. The religious aspects in Kandinsky’s oeuvre have been highlighted by a number of scholars. This essay shifts the focus from the artist and his work to the audience to whom his message was addressed. It explains the role played by the concept of the ‘spiritual’ in the German reception of Kandinsky from the early 1910s, when abstract art was first beginning to be recognised in Germany, to 1937, the year that the infamous exhibition of ‘Degenerate Art’ (Entartete Kunst) opened its doors in Munich. The main focus here is the response to Kandinsky’s art as described in several key texts on modern art that were published between 1914 and 1920. The intention is to show how some of Kandinsky’s supporters in the adopted homeland in which he launched his new art and philosophy elevated and appreciated his work as a manifestation of the ‘spiritual’, and thus made up for the unintelligibility of abstraction, of which it was accused by the critical community. In parallel, the broader context will be taken into consideration by drawing attention to a concurrence between the German self-image and the concept of a spiritual art which was associated with abstraction and the east. This essay explores the publication history and reception of the first monograph on Russian icons to be published in English: Nikodim Kondakov’s The Russian Icon (1927). It presents the text as a product of the intergenerational polemic waged between ‘iconographers’ and ‘formalists’ over the icon’s history that began on the eve of World War I and continued into emigration. A close reading of Kondakov’s abridged text reveals that the editorial interventions of the translator, Ellis H. Minns, may have played a part in cementing Kondakov’s reputation as a nineteenth-century pedant incapable of responding aesthetically to icons and out of touch with the discoveries and values of the modern age. 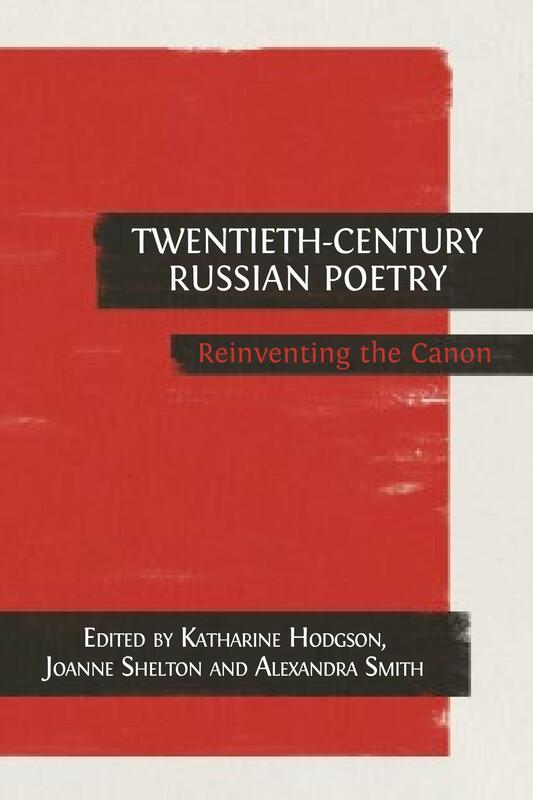 The essay argues that a reappraisal of Kondakov’s contribution to icon studies is long overdue, and seeks to reinstate his important contribution to the early twentieth-century revival of interest in icons among artists and scholars that was a central theme in the development of Russian artistic Modernism. Between 1925 and 1927, the Russian émigré artist Dmitry Stelletsky (1875-1947) executed the murals and iconostasis for the parish church of the Saint-Serge Theological Institute in Paris – one of the most important centres of the Orthodox Church outside of Russia. The highly stylised, colourful mural scheme and its daring deviations from the Orthodox canon represented an unusual departure for Stelletsky both as an artist and a devout Orthodox believer. His secular paintings generally corresponded closely with medieval forms—so much so that the Russian avant-garde condemned his work as imitative—yet in Paris his designs for this important religious commission were the most experimental of his career. This essay considers how Stelletsky’s radical use of space, on the whole, appeared to prioritise aesthetic, rather than religious concerns, and will explore the possibility that his position outside of the avant-garde was less straightforward than his contemporaries and scholars have suggested. Nikolai Punin (1888-1953) still remains an enigma both in Russia and the West, perceived by many as a "red commissar”, being the right hand of Anatoly Lunacharsky. His role in defining post-revolutionary art and his support for avant-garde artists are much better known than his contribution to the re-discovery, the study and indeed preservation of Russian icons. This essay examines the origins and the impact of Punin’s interest in Russian icons, as well as his place among other Russian scholars who wrote about icons at the beginning of the twentieth century. This essay explores mystical, religious, and spiritual themes in the work of the Soviet Georgian painter Ucha Japaridze (1906-1988). It examines Japaridze’s hitherto unstudied contacts with modernist currents in Georgia during the 1920s, highlighting his engagement, in particular, with various proponents of the Symbolist movement, and argues that these encounters informed Japaridze’s painting in the Stalin era and beyond. Despite being little-known today even among historians of Soviet art, Japaridze was among the Georgian republic’s most successful artists, much celebrated by Soviet art historians for his contributions to Soviet socialist realism, the official method for the arts in the Soviet Union after 1934. However, as this essay argues, Japaridze also used religious imagery and mystical and spiritual motifs borrowed from Symbolist and other sources to produce paintings that were ambiguous in their meaning and sometimes appeared to gently criticize the Soviet regime (or at least certain of its policies), while nevertheless remaining within the bounds of acceptability. In this respect his painting exemplifies the breadth of art produced under the banner of Soviet socialist realism, but also the enduring legacy of modernist experimentation and of the spiritual as a theme and source of imagery in Soviet painting.